A nifty powered pedalboard that’ll fit in your carry-on. 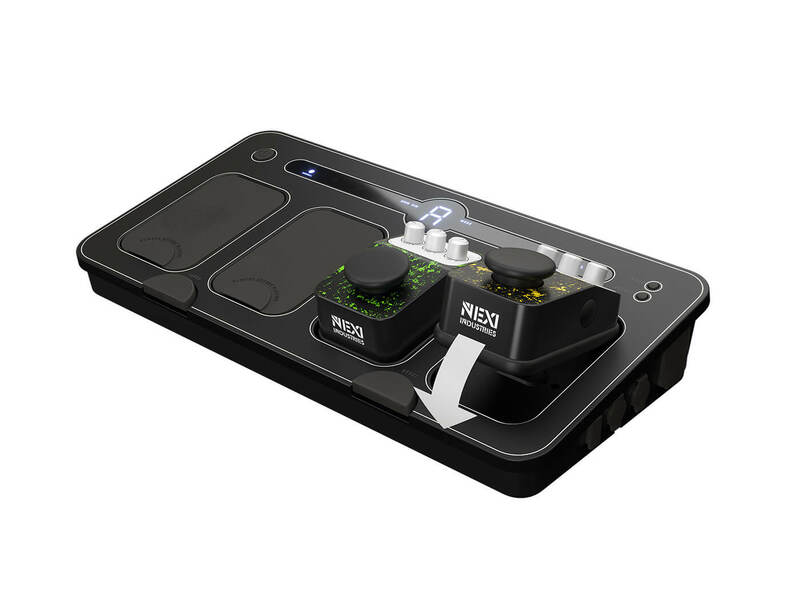 Nexi Industries has wed portability and functionality in the Nexi Powered Pedalboard. This handy device is perfect for the travelling musician. The Nexi Powered Pedalboard has a simple design, featuring four slots that can accomodate any of Nexi’s 18 Click ‘n Play analogue, true bypass, effect pedals. Don’t fret if you’d rather use one of your other favourite stompboxes instead. All you need is a conNEXI adaptor, which is sold separately. Other highlights include a built-in DI, universal power supply, tuner and three-step booster.